A homeowner scares three would-be robbers in Kansas City. KANSAS CITY, Missouri (WLS) -- Three would-be robbers looking to score instead got a big scare in Kansas City. 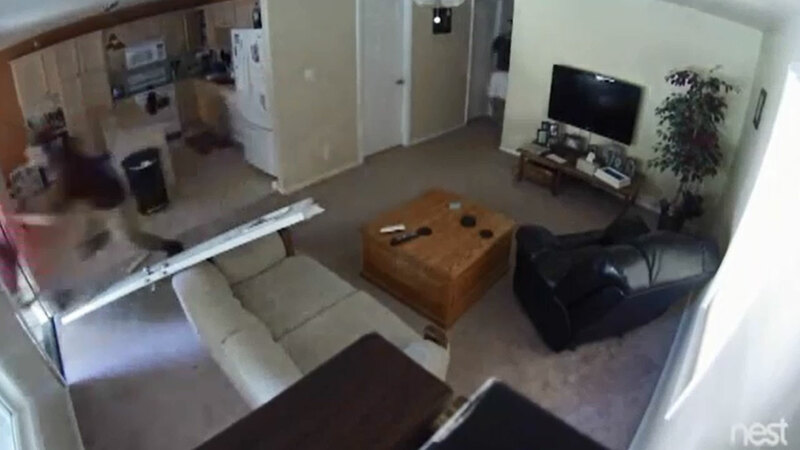 Surveillance video shows the suspects kicking down a door only to find the homeowner inside. He's 6'2" tall and weighs 210 pounds. Also, he's got a blue belt in martial arts. The three robbers took one look at the homeowner and ran. The men are still on the run, but police said they have the suspects' DNA.